I am not a “professional” photographer, but I take pride in capturing good photos. I have pretty good equipment and I know how to use it. I’m also blessed by living in Seattle, which is one of the most photogenic corners of the world, and we travel as much as we can. One of the places we visit pretty frequently is British Columbia, since Canada is just two hours north, making it closer than both Oregon and Idaho. In 2007, we took a 4-day trip to visit Vancouver Island and the Sunshine Coast with my parents. This included a day exploring Ucluelet and Tofino which are on the western cost of Vancouver Island. 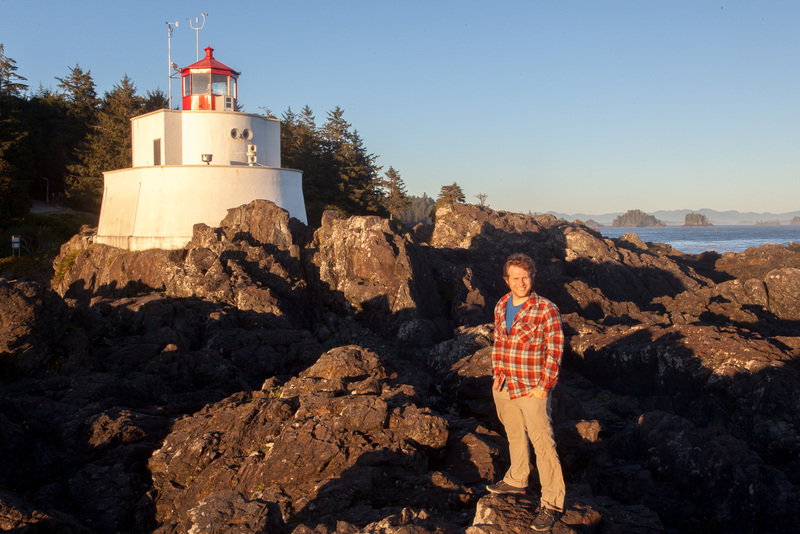 Since we were staying in Ucluelet, we visited the Amphitrite Lighthouse which is at the far end of town. It’s a beautiful spot to look out and see the ocean and the smaller islands that dot the coast. It was a nice evening, with great color to the southeast as the sun was setting to the west. At 9:18 PM on August 4th, 2007, I took the most famous photo that I have taken, or will ever take in my life. I took one of the 8 “sample photos” which come with Windows 7. How did a photo I took on vacation end up on more than 600 million computers? I’ve worked at Microsoft since 2002, where I’ve worked on a broad range of products including Office 2003, Office 2007, several versions of Windows Media Center, Windows Vista, 7, 8, and most recently Windows 10. I have an background in Computer Engineering but I’m not a programmer; I’m a Program Manager, or simply a “PM”. In broad strokes, PM’s at Microsoft own delivering a specification describing a new capability that we have decided to add to our products. In order to deliver a valuable new feature, we need to first research the needs of our customers and capabilities of competing products, define the target audience, and identify the capabilities that they need. From here we will brainstorm potential solutions and describe the final design in the specification which our developer colleagues (the computer programmers) will build. Along the way we encounter hiccups, adapt the design, test how well it meets customer needs, refine it some more, and finally “ship it” to the world. 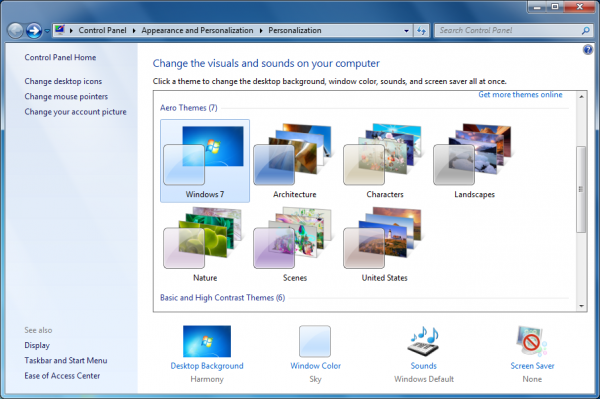 Theme gallery and personalization options in Windows 7. To make this design shine, we wanted to include compelling themes which met the needs of customers around the world. I partnered with the team which prepared these default themes, as well additional themes for certain geographies. The process of selecting the best 6 photos for each theme was extremely time consuming, but it was a lot of fun to see so many beautiful photos from around the world. 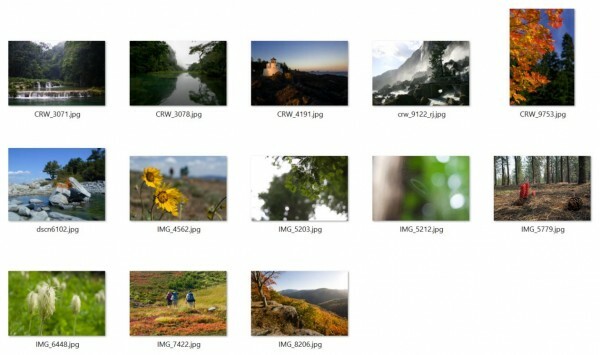 In December 2008, I submitted these 13 photos for consideration for the Windows 7 Beta. I was happy to submit a handful of photos, including my photo of the Amphitrite Lighthouse. Some time later, they asked if they could use my photo in the final release instead. I was excited to hear that my photo might be enjoyed by so many Windows users, so I allowed them to use it. 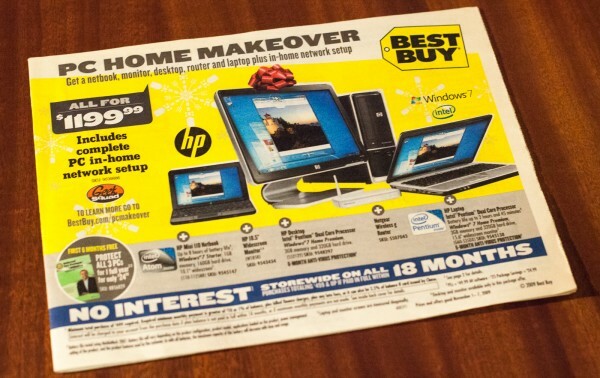 Best Buy ads for holiday 2009 also included my photo. At the time, I was still shooting with my first Digital SLR, the 6 megapixel original “Canon EOS Digital Rebel”, and I was using the Canon 10-22 EF-S lens. The photo was taken without a tripod at ISO 100, 1/50 sec, f/6.3, with 17mm zoom. The focus on that lens is a little soft, but you can’t tell given the small size of the final photo. The photo included in Windows 7 was cropped from the photo I took. 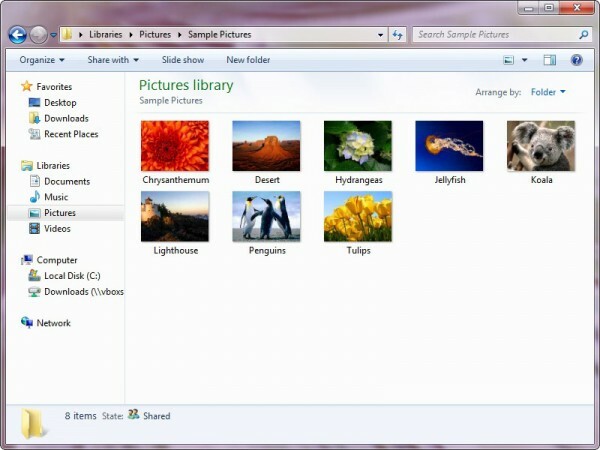 The sample photos were kept small with a low 1024×768 resolution to minimize space on almost every PC in the world. The design team did some light editing from the file I provided, including the removal of the antenna behind the lighthouse and a much tighter cropping. Easter Egg – I’m in your computer! Welcoming Windows 10 with an encore visit to the Lighthouse! I still work on the Windows team, and am excited by Windows 10, our latest operating system which was released on July 29, 2015. It is the latest Microsoft operating system, and it contains lots of new features including Cortana search capabilities, a new web browser, Windows Hello, and lots more. Many of the new features will appeal to those users still enjoying Windows 7, including a more familiar Start menu and other optimizations for the many users who don’t have a touch screen yet. For the next year, it’s available as a free upgrade for users running Windows 7 or 8. In a way, the release of Windows 10 marks the end of people enjoying my Lighthouse photo on the millions of PC’s running Windows 7. Standing next to the lighthouse where I took the lighthouse photo 8 years earlier. Last week I had a chance to visit to the very same lighthouse where I took that photo in 2007, since I hadn’t been back since then. We made a day trip to the west coast of Vancouver Island to visit Pacific Rim National Park, and to visit the lighthouse in Ucluelet (We were staying outside Parksville with my parents, aunt, and uncle). We weren’t able to wait until sunset since we had a long drive to get back to Parksville, but I seized the opportunity to get some photos of the lighthouse from the same location. This time I had a better camera, a better lens, and a Tripod so everything is nice and sharp. By carefully reviewing the old photo, I was able to find the closest location I could to the original photograph and set my tripod there. I’m pretty confident that this is the exact spot to re-create the Windows 7 photo from the same angle. I was fun to find what I believe is exactly the same spot, and to take some additional photos. Leave a comment if you found this story interesting. 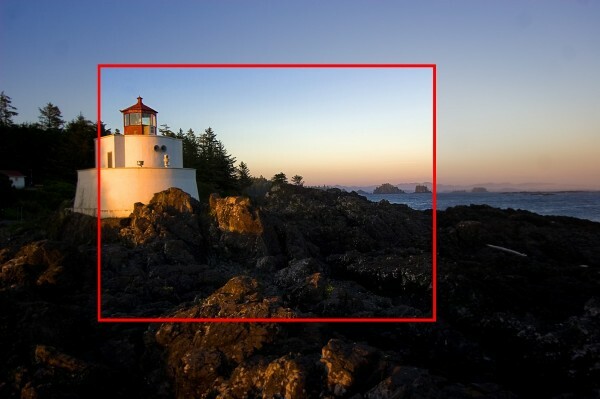 Maybe you’ve been to Ucluelet and recognized the lighthouse, or are planning a trip there. Please also share your photos visiting the lighthouse. P.S. I wrote a bestselling book called “The LEGO Architect” which teaches famous Architectural styles such as Art Deco, Modernism, and High-tech styles using LEGO Bricks. 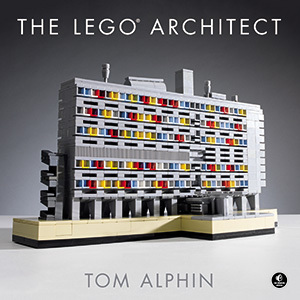 Purchase The LEGO Architect for someone you know who loves LEGO or Architecture. The LEGO Architect is published in English, Français, & 日本語. Previous story “The LEGO Architect” – a preview of my upcoming book! Cool story there Tom. Very nice to see the inside story of this photo and what it took to get to Windows 7 ! Very interesting, and what a claim to fame! Charming story. Right place and right time. Nice. Hey Tom, I’ve been looking at that pic for a couple of years and wondering where it was taken. I guessed it was either north-east US or Scandinavia somewhere. I got the direction and the continent right at least. Very interesting! This story answered my question about where in the world this lighthouse sits. I was thinking it had to be Canada. I love lighthouses and I love this photo. It’s great to know where it sits and who took such a great photo. The photo brings calm to my day as I stare at it on one monitor while working on the other or as I stare at it while on a stressful legal call. It would be nice to visit it and now I know that I can someday since Canada’s in reach. Thank you! P.S. I love Seattle — it’s one of the most beautiful places I’ve ever been lucky enough to visit. Photogenic? I agree! We’re so glad you came to see our lighthouse! 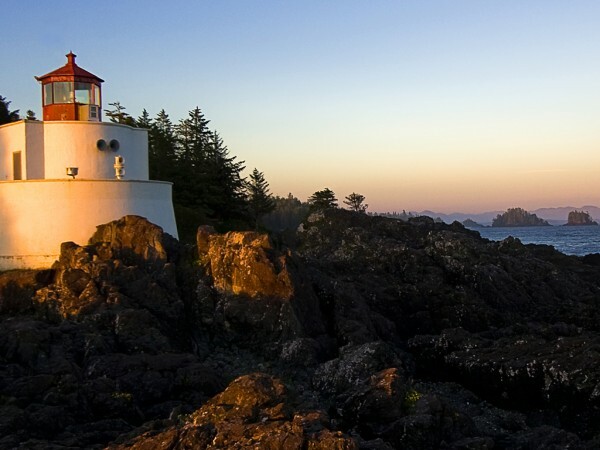 We’re very proud of the Wild Pacific Trail that wanders around town – and our centenarian lighthouse! Come see us again soon! Thanks! I know that I will be back again, since Vancouver Island is a lovely vacation destination from Seattle. Tom, Great Pictures. Can I use your picture in one of my website and I will definitely credit your name to it? Thanks for writing this post, it confirmed my suspicion. I was recently developing some software, and used Windows 7’s sample images and a few of my own vacation photos from this summer for testing. 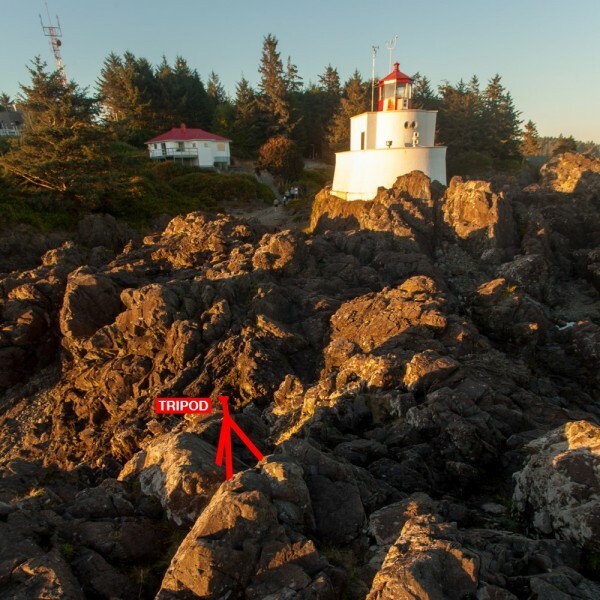 Took me a while to realize that “your” lighthouse was the same one as “mine” (https://photography.roytanck.com/2017/08/25/ucluelet-lighthouse/) :). Great pic, although I prefer your original crop.